My name is Rebecca, I am a Scottish mother of three who has made Queensland her home. I have, since I completed my Massage in Pregnancy Diploma had an interest in the Postnatal period, but it wasn’t until I had exhausted myself with my first two children that I started to actually apply some of the wisdom that I had previously learnt. Being far away from home also increased the exhaustion and feelings of isolation, it can be hard to settle into a new place while you are still learning who this new version of yourself is! And so when it was time for my third I tried my best to just let myself rest (it can be hard!) and I feel it made a real difference to mood and bonding. I feel I sang a lot more, had more smiles and became more comfortable with myself as a mother. The effects of which have helped all my relationships. But do you know I would still have liked more support, I would have loved a Postnatal Doula! 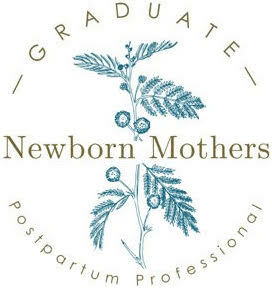 When I came across Julia’s course at Newborn Mothers ( Affiliate link) it really resonated with me and I decided to become a Postnatal Doula, so I can offer women the support they need.